We rolled into Venice, our first stop from Slovenia, and quickly realized that our two days allotted to explore was an entirely laughable amount of time. Our first hint to this epic mistake was the fact that for every ten steps we took, we had to stop and consult our map. The island is such a maze of small streets, alleys, bridges and canals that getting routinely lost is actually part of the prescribed “Venice experience“. As enjoyable as that game of aimless wandering can be, it makes finding the things that we wanted to seek out infinitely harder. Venice is also much bigger then we thought it would be. Perhaps we had gotten too used to the quaint and compact cities of Croatia and Slovenia that we were used to getting anywhere we wanted to be quickly. That is definitely not the case in Venice, as to get from one side of the island to the other, including (several) wrong turns took us at least a half an hour – including hurrying but excluding taking (several) wrong turns. After being forced to run through the narrow streets in order to catch a ferry to scenic Burano, I actually declared Pete a miraculous hero for guiding and getting us there just in time. Despite being constantly turned around, we were instantly charmed with the scenery and atmosphere of the watery city, but sadly didn’t form anything more than superficial impressions. Two days is nowhere near enough time to do anything but snap photos of popular sights and stuff ourselves with a few plates of pasta. Next time? We’ll be sure to hop on a Venice Gondola Ride. 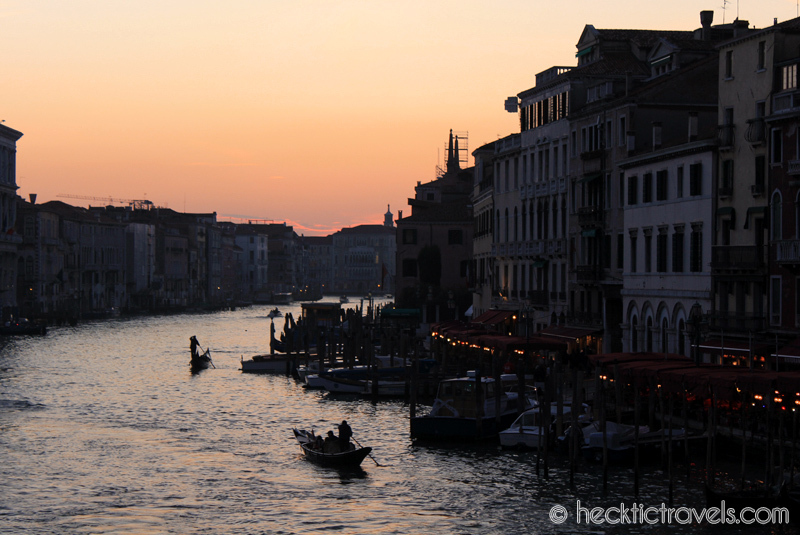 Venice at sunset is an unmissable sight. 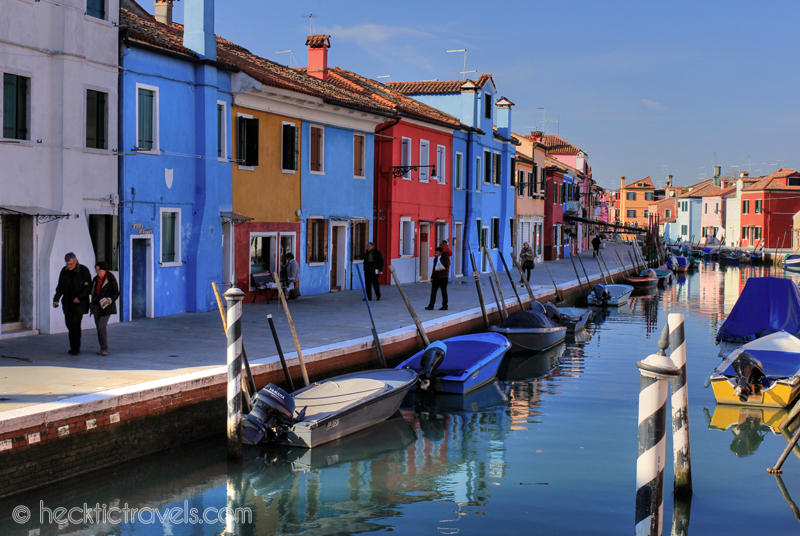 Burano is a quaint, very colorful island in the Venetian lagoon that was incredibly quiet in comparison. Exploring is always fun with friends. Especially bacon-y ones! Huge thanks to Francesco at Casa Dei Pittori for the discounted apartment during our stay in Venice. For a complete review on it, please click here. History and beauty on the Great American Waterways. We have been quickly soothed and nourished. What can I say? I feel so envious @ the beauty & awe that you guys are experiencing. When I visited Venice I realised that it is a place where it is almost impossible to take a bad photo. AMAZING photos! Johnny and I are headed to Venice for 2 days after we leave Paris, and now I’m worried we won’t have enough time. It looks SO beautiful! Be prepared to be lost, and maybe to run if you get behind! 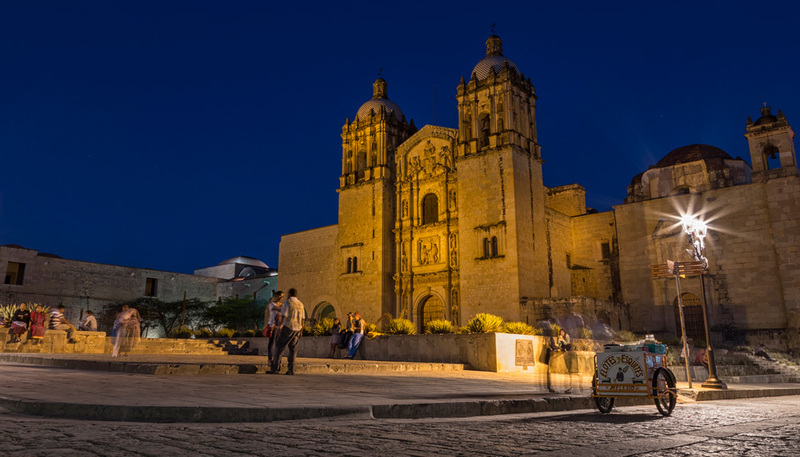 You will LOVE it, it is really gorgeous, but if you can afford the time to stay longer – do it! Beautiful pics. I spent four days there and it still wasn’t enough. It’s so nice to hear from other people who loved Venice, I have read to many blogs where people say it’s too touristy, but I think the tourists are all there for a reason – it’s a gorgeous and unique place! 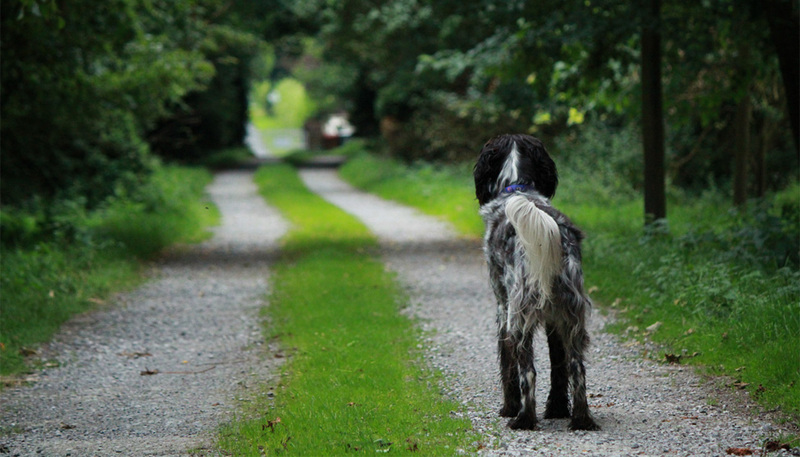 Amanda Kendle recently posted..Weekend Wanderings: It’s a Christmas link-up! We were there in VERY off season (if Venice has one!) which is probably good, as crowds of people tend to annoy me as well. But I think I would still love it, it really, really is beautiful! 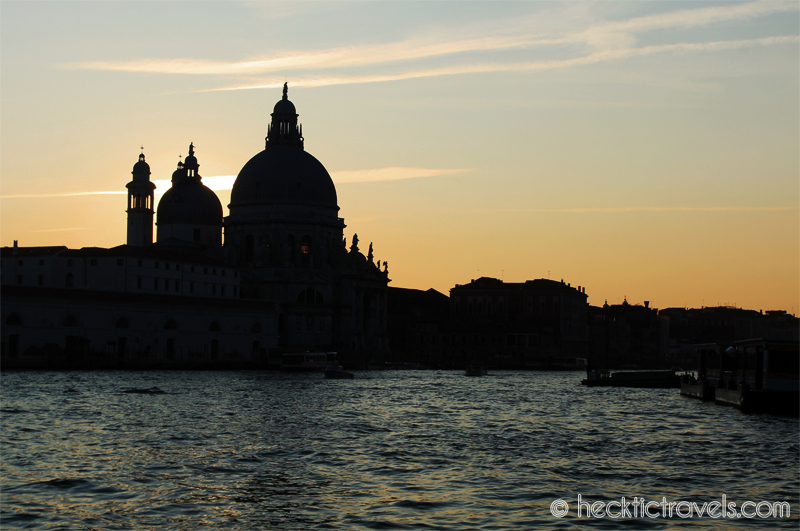 I loooove Venice — I had family who lived there for awhile, and it was so fun to visit them. And you got to see Ayngelina!!! Isn’t she the best?! I would love to blow each of those photos up and hang them as wall sized posters in my house. Ah, Venice. Emily S. recently posted..This is a Hold Up! Venice definitely has an off season, which is not mid July! We had been warned but figured we could handle the crowds. We quickly found out we couldn’t haha If you’re at all claustrophobic avoid high season. They unload gigantic cruise ships onto the island and there’s hardly any room to walk. Plus the stench of the sewers is breath taking. Oooh – perhaps we are quite glad to have been there in November then. Not sure if I could handle that either! When I went to Venice, it was in February, so very cold, very rainy. But, still, hauntingly beautiful. These photos and what you saw are what I would have loved to experience. All the more reason I have to go back, eh? 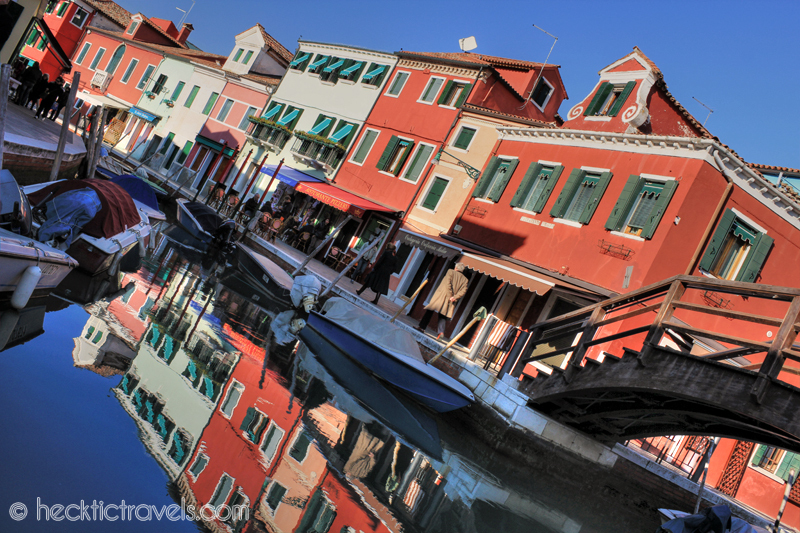 These are beautiful photos, I especially love the ones of Burano. Venice was ever really high on my list of places to visit, until I went there and I was awestruck with how pretty the city was – definitely a place I want to go back and visit. Yes, I’d love to spend more time there too and explore all the little streets! Burano was a gorgeous spot as well. We love Venice and wandering aimlessly and getting lost is our favourite thing to do there (besides eating of course!). I swear every corner looks the same, and our broken Italian mixed with Spanish got some strange looks when we asked for directions. But that’s the fun of this city! Thanks Jarmo! You are right that it was easily one of those places to go nuts with the camera. Busy is an understatement 😉 It was nice and quiet in Venice, easy to get lots of photographs without people getting in the way. I’m embarrassed to say I’m so far behind I still have not looked at my Venice photos but I hope they are half as good as yours. I agree you really need time in Venice. It wasn’t as expensive as I had expected and so much more beautiful. I only had about two days there as well. It’s not nearly enough time to really experience the city. 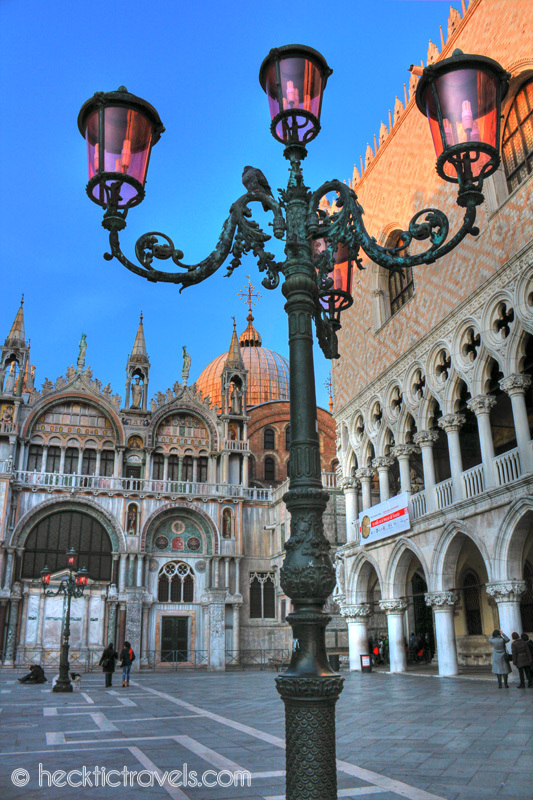 But it looks like you captured the essence of Venice in your photos. If I could go back I would just want one more night just to get lost in Venice! Haha, yes us too. And I’m sure that even after being there it would take us no time at all to all turned around and lost. So jealous that you were just in Venice but also jealous that you were there with the baconater. Yes, there were a few bottles of wine consumed, and iPhones (yes plural) broken. It’s a pretty cool place. It’s funny: I’ve been thinking about doing a post on my first trip overseas, a 3-week tour of Italy with the Atlanta Boy Choir when I was 12. Posts like yours are bringing back those memories in a huge way. 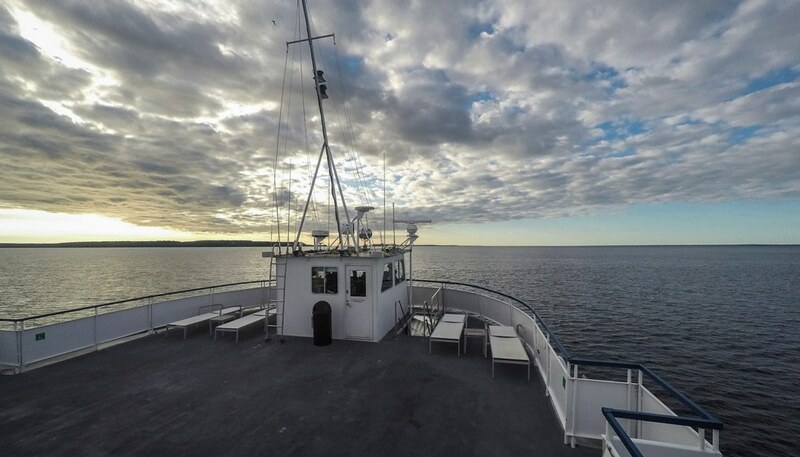 Thanks for sharing these beautiful photos! Really like the angled photo with the bridge and the reflection in the water. Yes, crazy we were. If we only had more time, I would have devoted more to this wonderful city. Some great shots! I don’t know how long is long enough to spend in Venice – I had a week there, but that still wasn’t enough. 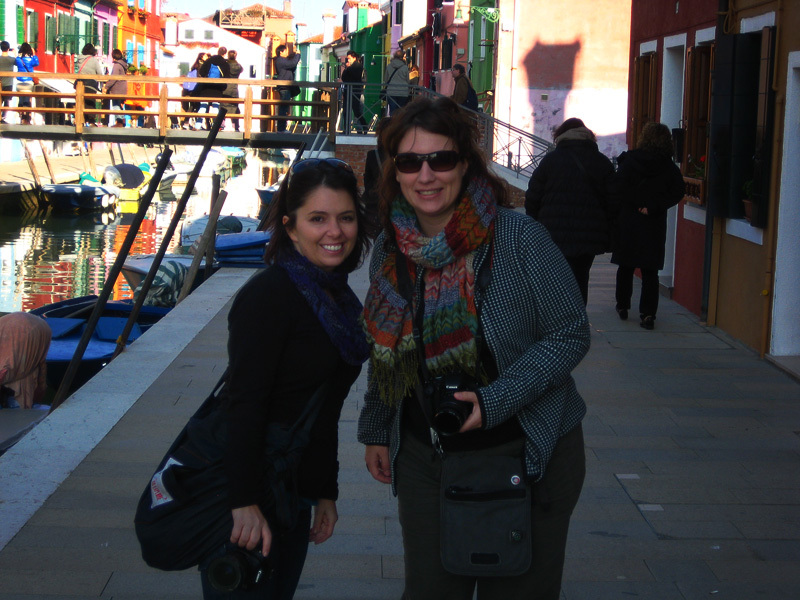 I absolutely adored Burano! Such iconic photos! Wow, Burano looks so different from the “typical” Venice look. I’m really dying to get there soon, even if only for the food! cheryl recently posted..Christmas Markets: Wiener Christkindlmarkt at Rathausplatz. I love Venice in the off season. There is a lot more to do there than a lot of people realize– i’m sure you will be back to explore it more! Beautiful photos! Thanks Jenna. I loved the low-season vibe and I don’t think I want to even experience the high-season. I loved being able to just wander the quiet empty side roads that lined the canals. We even caught a gondolier laying back reading a book because business was so slow. We will return for sure. 2 days is definitely not enough time! i hope you were able to extend your time there! Unfortunately not Jade, we were on a tight schedule so that we could get to Bologna, I hope we get the chance to return and get lost again though. I know it’s been said before but I have to say it again: those are some absolutely fantastic photos! 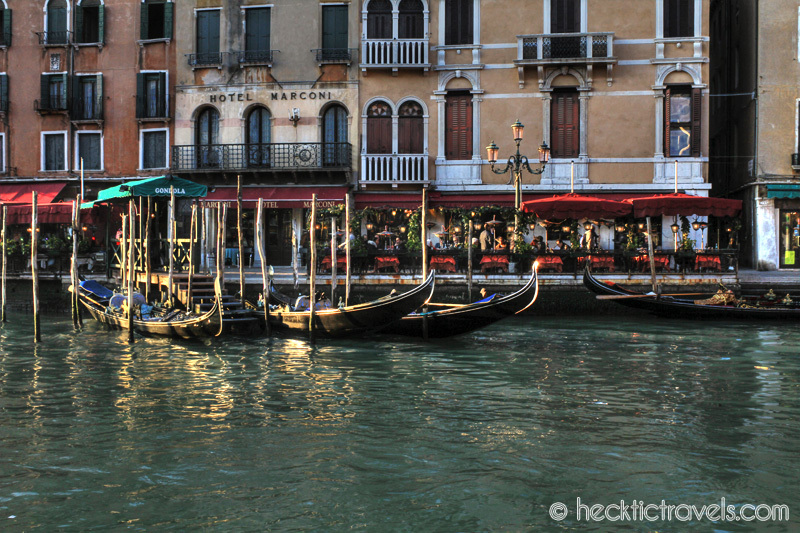 I have never been to Venice but I will make sure not to miss it next time I am traveling through Europe. 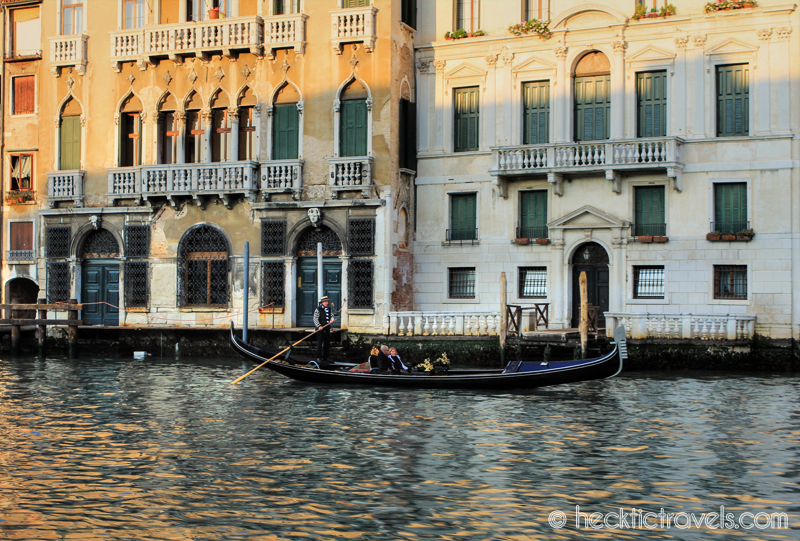 Greg and I honeymooned in Italy, and our first stop was Venice. I really enjoyed it, but Greg felt it was too touristy… Our best experience was one evening when we randomly wandered until dinner and sat at a small restaurant. As we were finishing, a man came in and plugged in a really long extension cord that he attached to a large portable boombox. He set the boombox up in the middle of the square, and local couples drifted in and started ballroom dancing. Greg and I joined in and we had an amazing time. Grazie Venicia! Very true! We’re much more interested in this type of experience when we travel, and it’s not always easy to find. Lovely looking photos of Venice 🙂 Running photography courses in ‘Venezia’ really makes you appreciate how other people see this beautiful, colourful city. 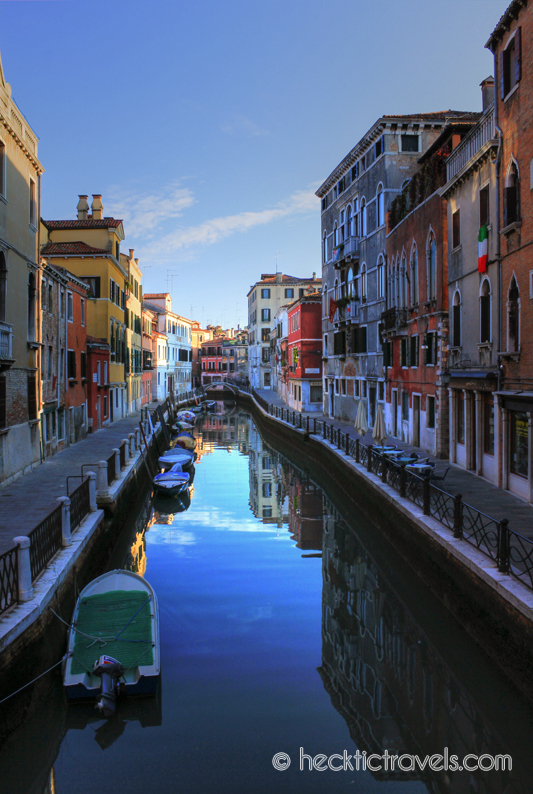 The HDR photos of Venice look good. Wow. Venice is just mesmerizing. I wouldn’t mind getting lost in the tunnels and alleys as long as everything I see is beautiful. I really want to go there now. Thank you so much for posting the pictures! I wish we had more time so I wouldn’t have gotten so annoyed when we got lost – ha! Clearly I’m late to the party, since this post is dated nearly three years ago! 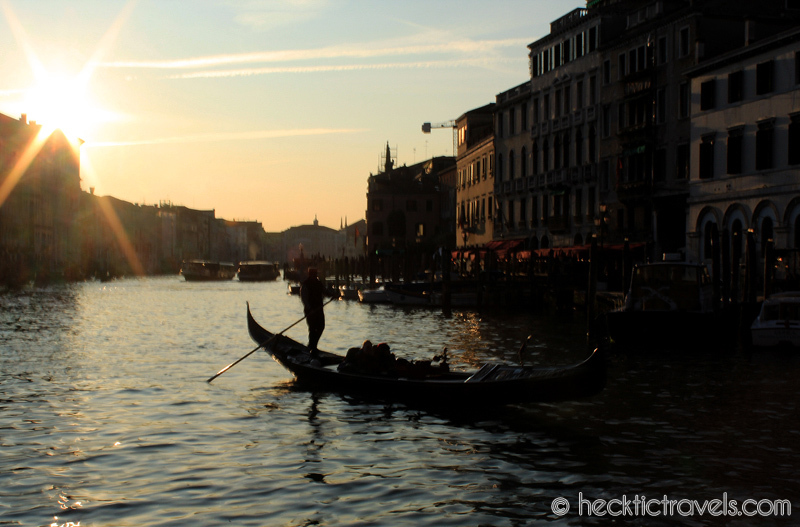 I spent only 3 nights in Venice and two full days as well. And I can’t wait to go back! Truly beautiful, with it’s watery streets. I normally have a really strong sense of direction, but I shocked even myself when I made my way on the second full day from my AirBnB apartment on the mainland to a specific museum deep in Venice, based only upon instinct from having passed it the day before. I went right to it and even the tour guide I met there for our private tour was surprised! The tour was followed by one of the best plates of risotto I’ve ever had. Ah yes…food in Italia. Sigh.